Activities (2016-17): Typhoid vaccinations. Distribution of medicines for de-worming. Small dispensary stocked with commonly used medicines including antibiotics in village Supi. Training of a health worker for usage of these medicines. Training of village worker to give injections – trained by Max hospital training institute, Noida. Talks on Menstrual hygiene & providing sanitary napkins & underwear to village women. Health camp in the upper reaches of Uttarakhand covering 10 villages under District Bageshwar and the Pindari glacier region – Supi, Mikhila, Khalpatta, Tarsal, Patyasar, Baicham, Jhuni, Khaljuni, Nilnagela & Latpauda. Routine blood tests and check-up done for 200 villagers. Also covered: the importance of eating green vegetables especially during pregnancy explained with charts. Developing kitchen garden in villages – to promote self sufficiency. Distribution of clothes, Providing construction material for shelter, Distribution of blankets, Distribution of stationary items to school children in 10 villages, Construction of 2 toilets in Supi village. Water purification – Shuddhu tablets distribution & water potability testing. 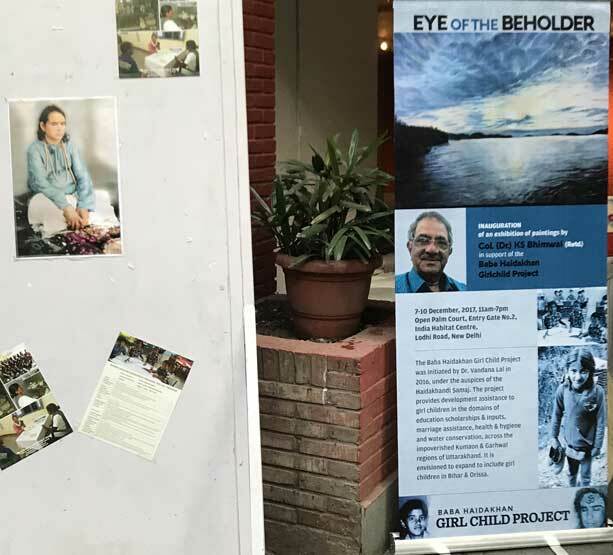 Held on 5th December, 2017 in India Habitat Centre, New Delhi, organized by Baba Haidakhan girl child project in which Rs. 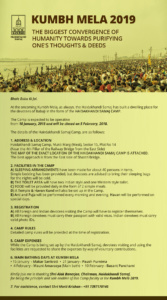 5 Lakhs (USD 7900) has been raised. 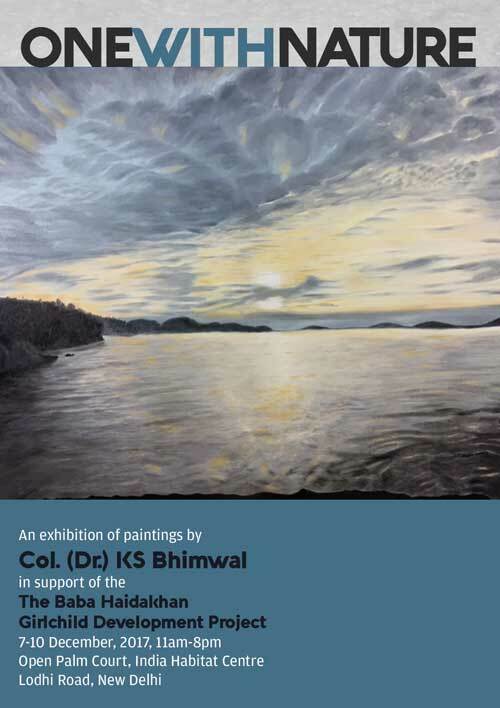 The paintings were contributed by Dr (Col) K.S. Bhimwal who is an avid painter. The poster was designed by Mr Sanjeev Sarna, our General Secretary. 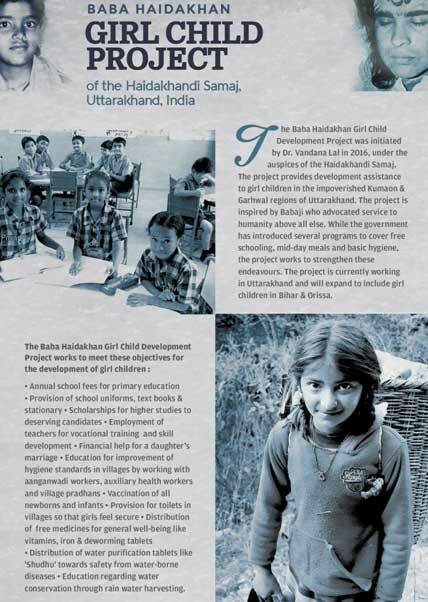 This entry was posted in HAIDAKHANDI SAMAJ, HAIDAKHANDI sAMAJ PROJECTS, INDIA and tagged Girl Child Project. Bookmark the permalink.